Ahwatukee (Ah-wa-tu-kee) is a suburb on the south side of Phoenix directly west of Tempe. Located at the foot of the South Mountain Regional Park, one of the largest municipal parks in the world, you'll find a diverse community with a small town feel. 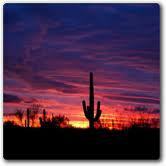 The Ahwatukee listings below in zip codes 85044,85045 and 85048. Additional community information is below. 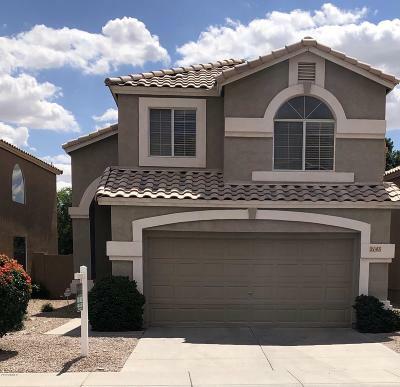 If you would like to view listings outside of this range, you can click Quick Search at the top of this screen - or use the "Search AZ MLS" or "Setup Auto Search" links on the left to set up your search. When you search for properties on my website, you are obtaining the information directly from the Arizona MLS - real time information! Legend has it that in 1921, Dr. and Mrs. W.V.B. Ames built a house on approximately 2,000 acres on the southeast side of South Mountain. They gave the area its original name, Casa de Sueños, which in Spanish means, "House of Dreams." Dr. Ames died within just three months of moving into the house, and after Mrs. Ames' death in 1933 the house and most of the land was willed to St. Luke's Hospital, then bought in 1935 by Miss Helen Brinton, who appeared to have retranslated the name of the house to the Crow word which now serves as the name of the village. The house was demolished in 1979, and parts of it were used to build the Our Lady of Guadalupe church. Marty Gibson was the first to write a book on the history of Ahwatukee, titled, "The History of Ahwatukee." As it turns out, the Crow translation for "House of Dreams" (ashe ammeewiawe) sounds nothing like Ahwatukee. More likely, she named the town after the Crow words awe chuuke, meaning, more aptly for the city than "house of dreams," "land on the other side of the hill," or "land in the next valley." This is, at first glance, a curious choice on her part because the Crow are a native northern plains tribe originally based in Wyoming, now residing in southeast Montana, and have never been associated with Arizona where the Apache, Hopi, Pima and Navajo are indigenous. However, Brinton, actually having spent much time in the Wyoming (Crow) vicinities and finally making her last home there, would have very likely been strongly influenced by her experience in Wyoming enough to use a Crow-derived name for the beloved land she left behind. This seeming inconsistency only serves to add to the lore of Ahwatukee. In 1971 part of the land was purchased, subdivided, and developed into a residential community by the Presley Development Company, owned by Elvis Presley's uncle. Ahwatukee has grown as the city acquired other land parcels to the west, including land owned by International Harvester, which operated a proving ground for earth-moving equipment there from 1947 to 1983. The state of Arizona has bought, sold, or swapped land several times, including transferring state trust land to developers in controversial auctions in which residents and conservationists have lobbied for the space to be converted to parkland. Surrounded to the northwest by South Mountain Park, blocked to the east by I-10 and to the south by the Gila River Indian Community, Ahwatukee Foothills is geographically isolated from the city which it is part of, Phoenix. Due to its relatively few access points (mainly through a few bridges across Interstate 10), it has been called The World's Largest Cul-de-sac. 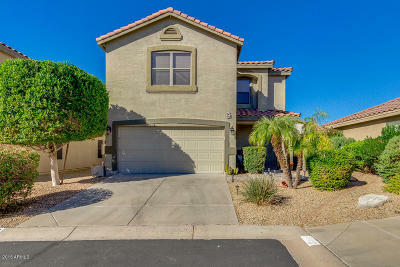 Ahwatukee is a quiet, self-contained village with an abundance of shopping, restaurants, recreation and entertainment. Here you will find lush community parks, stocked urban lakes, mountain biking trails, golf courses and wide, open picturesque views. You'll experience some of the most beautiful sunsets in the world! 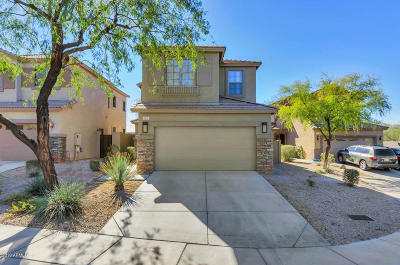 Real estate in Ahwatukee runs the gamut from condos to gates communities and mountainside luxury estates with incredible panoramic views. It contains two of the largest high schools in the Phoenix area. Grades K-8 are part of the highly acclaimed Kyrene School District and the high schools are part of cutting edge Tempe Union School District. Come spend some time with us in Ahwatukee - you'll know why Money Magazine recognized us as One of America's Best Places To Live!